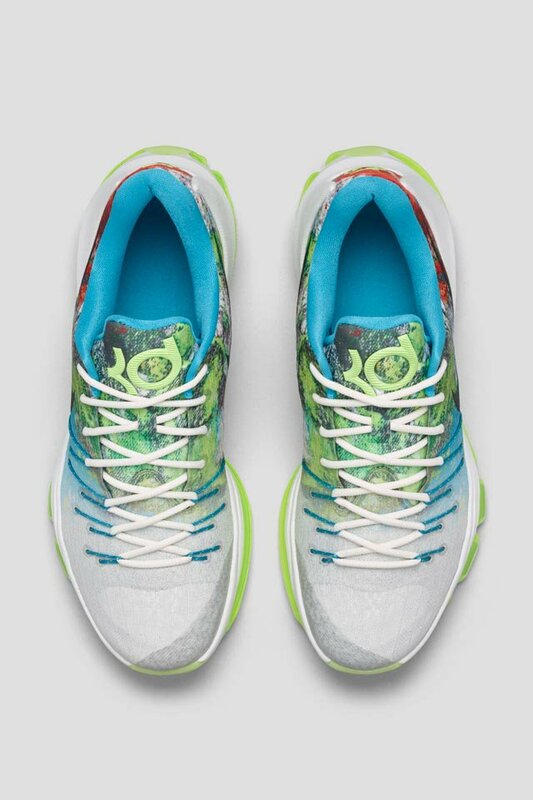 Nike unveiled it's "N7" collection recently, and of course they always have a colorway for the KD model every year. 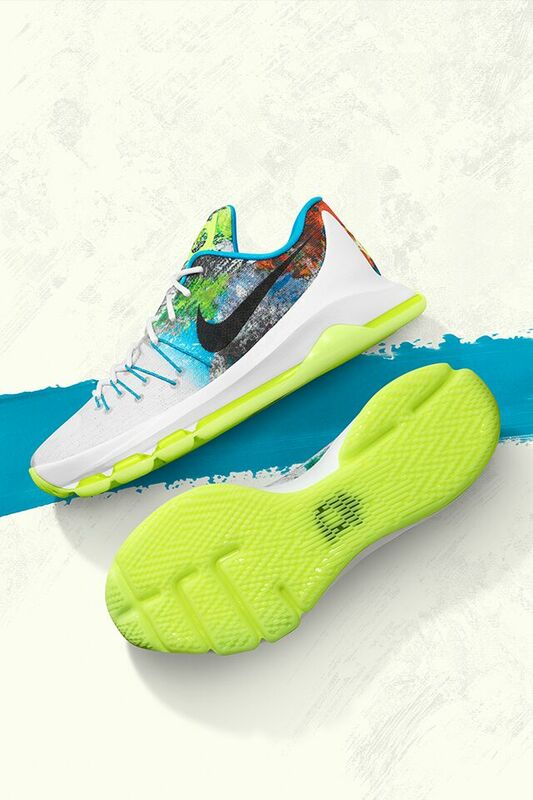 This year with the KD 8, it will be a very colorful one. 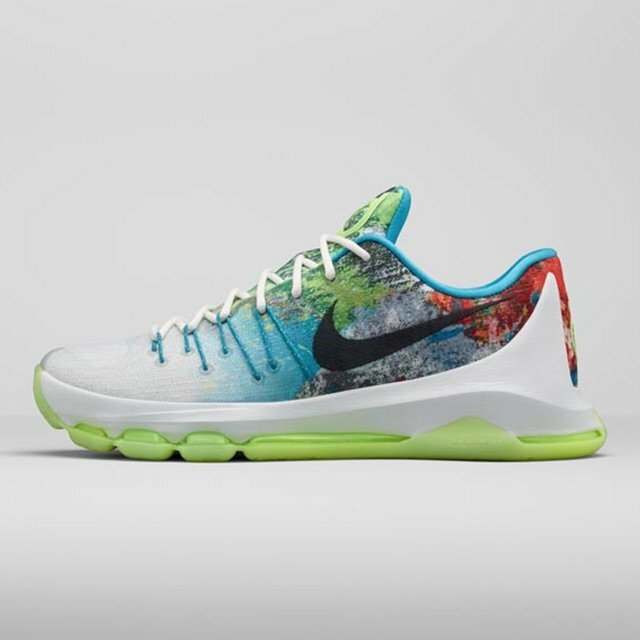 The Nike KD 8 "N7" features a white upper with many shades of red, blue, green, orange and brown. The green also pops on the tongue logo as well as the outsole. Look for these kicks to come out on November 7 at $200 if you plan to cop these.